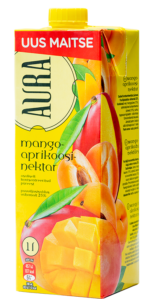 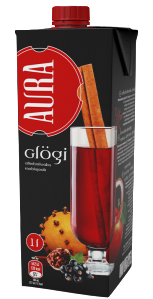 The beloved Aura Fresh juice drinks now contain even more vitamins! 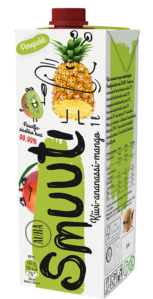 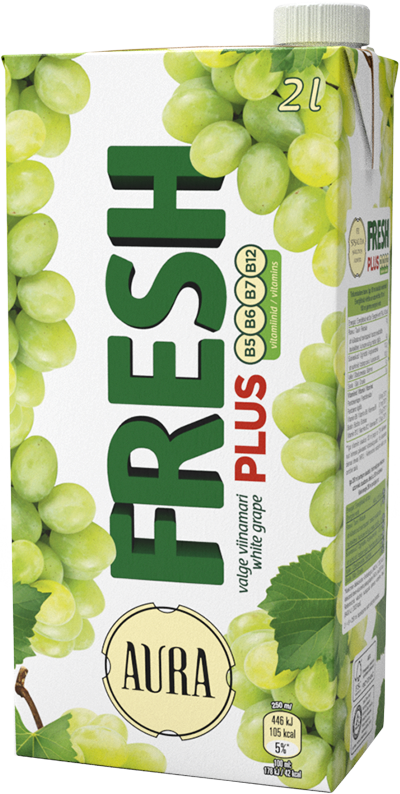 The white grape-flavoured family drink in the Fresh Plus range contains vitamins B5, B6, B7 and B12, which are good for everyone, put you in a good mood and contribute to the well-being of your body. The sweet and sour grape flavour is not too strong, which means that the drink goes well with food and is an excellent thirst quencher on a hot day. 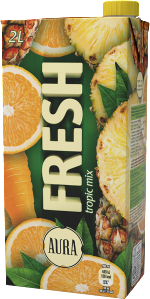 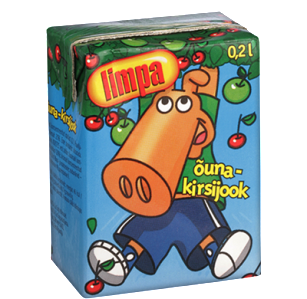 Try also the summery wild berry or classic orange flavour in the same product range. 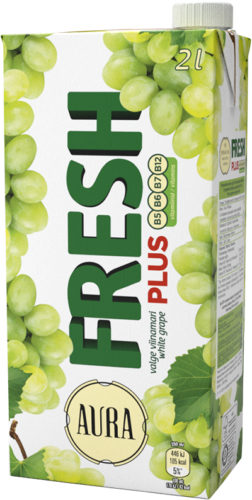 water, sugar, grape juice (5%) from concentrated juice, acidity regulator – citric acid, apple and grape flavours, food colour – E150d, vitamins (B6, B12, pantothenic acid, biotin).